BetAmerica offers a wide array of betting on horse racing and daily fantasy sports. They pride themselves in having an app that is available for both Apple and Android devices, and that the BetAmerica mobile app is compatible with all mobile devices. Go to the App Store if you have an Apple device and go to the Google Play Store if you use an Android device. Search and download either the Horse Betting app or the Live Racing Video mobile app to your device. Open the application and sign in with your user name and password, or register for a new account with BetAmerica. If you’re a new user, make a deposit to claim the matched deposit bonus offer. Explore the BetAmerica mobile app and start to bet. The latest version of the app (version 1.1.6), is available for download for Android and Apple devices and will run on the latest operating systems of both mobile formats. The app from the Apple App store specifies that its compatibility requirements are iOS 8.1 or later. The BetAmerica mobile app is free on both Android and Apple, so you don't have to worry about any extra fees creeping up on your account. The Apple app is compatible with iPhones, iPad and iPod touch devices, with the Android version of the app also being available across all devices both mobile and tablet. For all new users to BetAmerica, and the BetAmerica mobile app, the operator offers a 100 percent matched deposit bonus of up to $100. You must be a brand new customer to claim this offer, returning users will not be eligible for this offer. After signing up, your very first deposit will be matched 100 percent, but only your first deposit will be matched. The matched bonus amount will be put into your Pending Bonus balance where it will be unlocked by you wagering on the horse races or in BetAmerica’s Sports and or Games. You unlock increments of your bonus as you play at a rate of 10 percent per stake. So if you place $100 on a horse or pay $100 to enter into any of BetAmerica’s Sports/Games, you will unlock $10 of the matched deposit bonus which is held in your Pending Bonus balance. Each amount that you unlock becomes yours to play with or withdraw. You have 30 days to earn as much of the bonus as you can before the remaining Pending Bonus balance is forfeited. It's a decent time frame for someone who bets a lot, but also for the sporadic bettor. Using the BetAmerica mobile app, you can place bets on all of the horse racing and greyhound racing that BetAmerica covers, which is a great deal. Not only can you place all of your favorite wagers, such as win, place, trifecta, exacta, superfectas, show and all multi race exotics, but you can also live stream the races. You can watch live video streaming of every horse and greyhound race with the operator. This includes races from outside of the United States of America, such as races from New Zealand, Australia, Canada, Ireland, the United Kingdom, and more. The app is incredibly easy to use on any device, it's pretty much identical to the browser version. If you want to bet on a race, all you have do is go into the day of racing, select your race, and then make your selection. On the same page that you make your selection, a bet slip will appear. This means that you can go across pages, and select other bets and your slip will always be visible on your screen. If you're not in it to win it, but want to learn more about horse racing in general you're in luck. The app also provides derby history and derby trivia to give the BetAmerica mobile app users all of the information they could possibly want before placing a bet. You can also play your fantasy sports games through the BetAmerica mobile app. Once you have downloaded the BetAmerica mobile app from either the App Store or Play Store, open the app and log in with your BetAmerica details. Create a new account if you have not done so already. Then you click on Racing, which will take you to the races of the day. After that you select which race you want to bet on, make your selection by clicking on the name. That selection will then go onto your betting slip. The slip is under the video window and above the runners on the BetAmerica mobile app. From thereon you can select your stake and press the BET NOW button. If you wish to place a bet that holds multiple selections you can do so. All you have to do is use the same method of selection and then selecting the type of bet that you want on the bet slip. You can bet on a trifecta, a set of doubles or any other option that is available according to your number of selections. On the BetAmerica mobile app, you can make a deposit by going into the My Account section. From thereon you can see the option to deposit, and select your preferred method of depositing money and choose the amount that you wish to deposit. You can make your deposit via either CC, Neteller or Pay Near Me when using the BetAmerica mobile app. The minimum amount that you can deposit is $25. When it comes to minimum wagers each track is different, but some tracks allow for a minimum wager amount of $0.10. On the BetAmerica mobile app, you can make a withdrawal by going to the My Account section. From there you will see the option allowing you to make a withdrawal. By selecting withdraw you be presented with the various methods that you make your withdrawal through, and then you can select the amount that you wish to withdraw. You can make your withdrawal through the same methods as when you deposit such as CC, Neteller and Pay Near Me. If you use this method there is no minimum or maximum withdrawal amount. But when it comes to using PayNearMe, you will be charged $3.99 by the cashier at 7-Eleven. Is it legal to play BetAmerica? Yes, mostly. Different states have different rules about betting on horses online, please check your state rules before playing. However, it's only legal in NJ to play BetAmerica online casino or sports bet online. There are three methods of contacting the BetAmerica customer service. You can use the Live Chat for instant online help, where a BetAmerica staff member can answer any questions that you may have. They are available from 9 AM to midnight (Eastern Standard Time) every day of the week. If you don’t wish to do Chat Live with them, you can email them on [email protected] or freephone (only free from the United States of America) by calling 1-866-607-7929. The U.S. based call center is open 364 days a year from 9 AM to midnight (Eastern Standard Time). The BetAmerica mobile app is not only nice, quick and easy to use, but it’s also visually stimulating. It's got everything you would need from the BetAmerica desktop version, which makes it easy to navigate through the pages. In some ways, the BetAmerica mobile app is actually more fun than using the website. 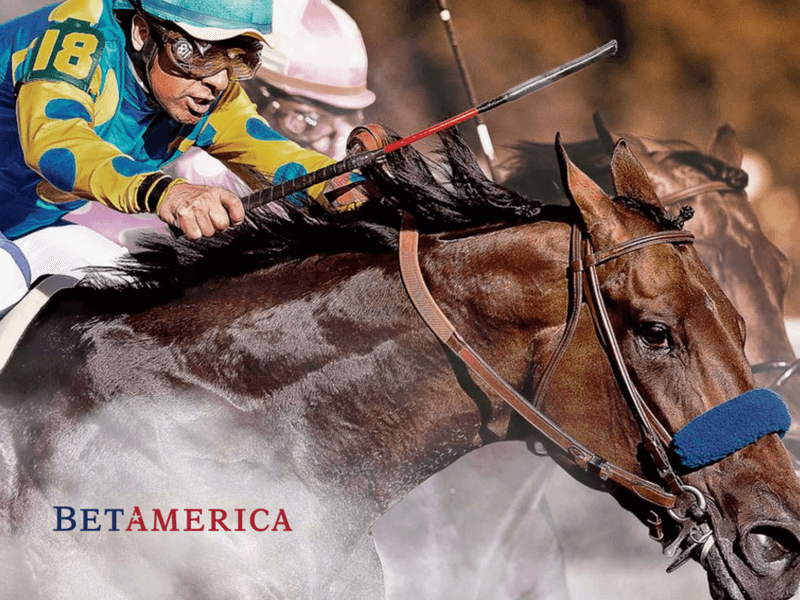 For more information on BetAmerica, read our BetAmerica Sportsbook Review. Great for beginners as it’s easy to operate and provides lots of information. The race streaming is sometimes a few seconds behind / late. Smooth and fast working app that is cosmetically pleasing. 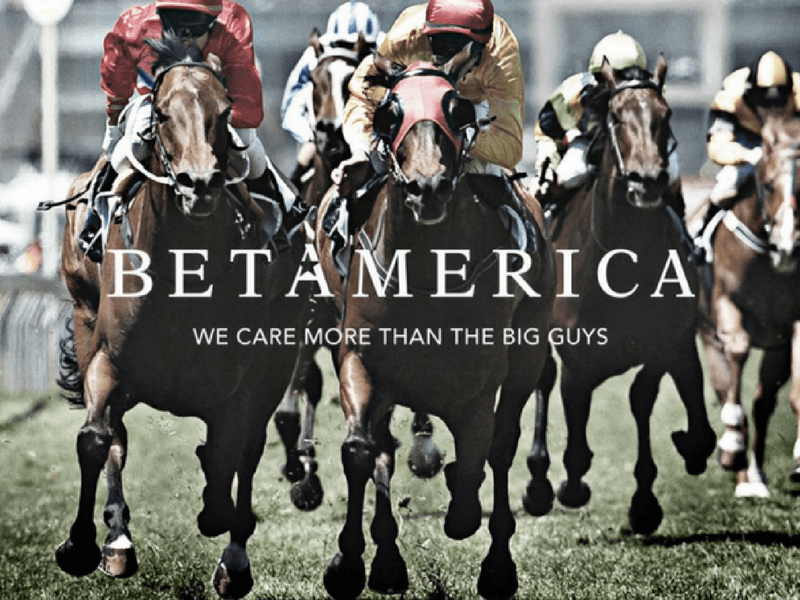 BetAmerica mobile app is restricted in Georgia, Hawaii, Illinois, Maryland, Mississippi, Nebraska, Nevada, New Jersey, North Carolina, South Carolina, Utah, Virginia and Washington. Easy to navigate – making it easier to guide between races to build a multi selection wager, or between the tips section and back to the races. Welcome offer is a bit hard to claim all of – having to bet ten times the bonus amount to get it all – but you earn bits of it as you go, so that makes up for it. You can access the help information and customer service from an easy to find option in the app. Asides from the huge amount of greyhound and horse races that you can bet on and live stream, the option to play DFS definitely deserves a mention. It's the optimal operator to sign up with if you love horse and greyhound racing and want to gain experience in DFS. 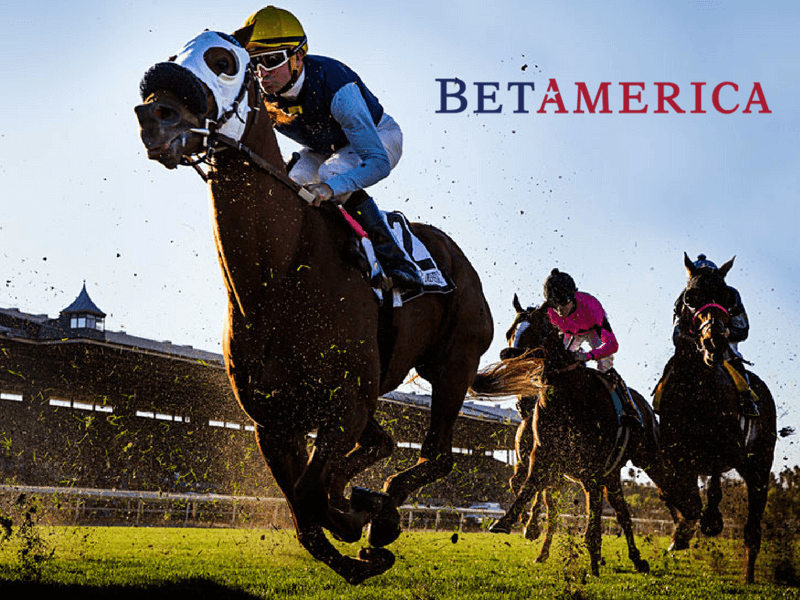 The BetAmerica mobile app is quick, smooth, looks great, easy to navigate, the customer service is helpful and provides everything that the website does. Their live streaming can fall a few seconds behind but you can expect that from most live streaming services. The only downside is that your state has to allow BetAmerica for you to sign up, and not all of them do. The welcome offer may seem very generous at $100, but it is difficult to claim all of as you have to wager the deposit a whopping ten times. But you can chip away with it with each bet that you place, so you’re effectively getting a ten percent bonus bet for every bet you place, which is great. The additions of bonus information and help such as tips, guides, track history, etc. is especially great as the user isn’t competing against BetAmerica, but other bettors out there. BetAmerica incorporates pari-mutuel wagering, meaning that they get their commission if their users lose or win. So they provide as much help as possible in the easy to find areas of the app. It’s hard to knock such a great app that gives you so many options and is extremely easy to use and streamlined.